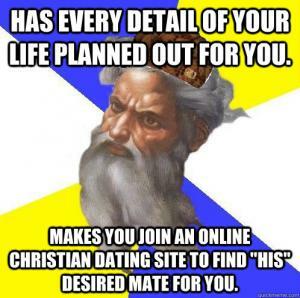 Has every detail of your life planed out for you. 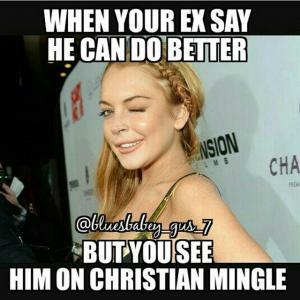 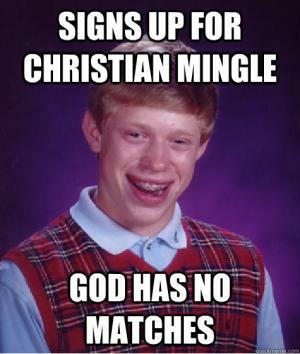 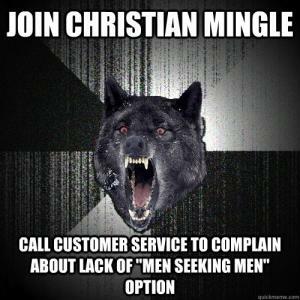 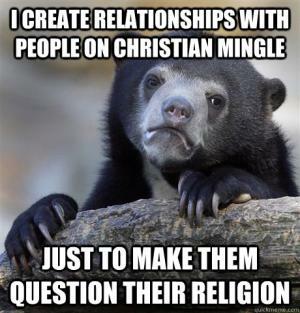 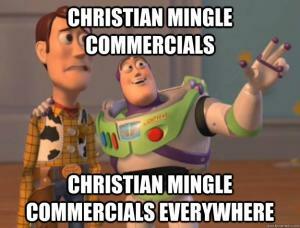 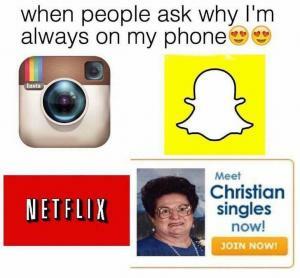 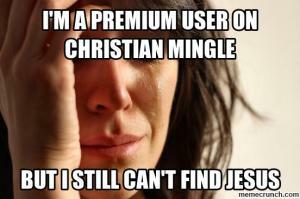 Makes you join an online Christian dating site to find "His" desired mate for you. 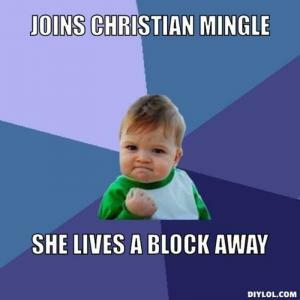 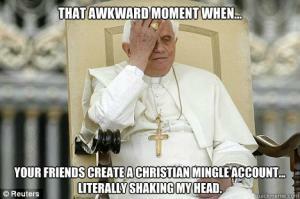 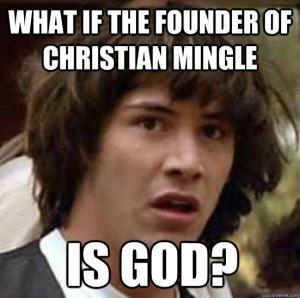 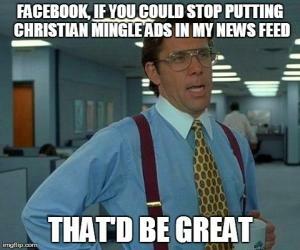 Your friends create a Christian Mingle account... literally shaking my head. 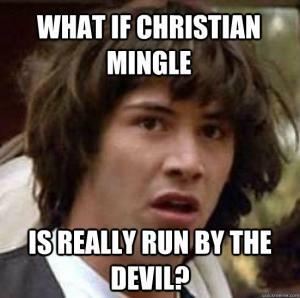 Is really run by the devil? 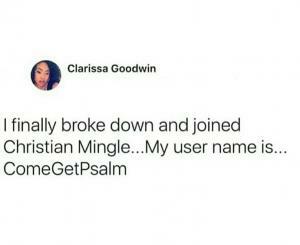 you mean the boys cir?